The fourth album from the Austin, TX based Wild Child is a long running, high minded pop excursion titled Expectations. Their are a lot of ideas and approaches presented here as the band expands upon their sound for their most confident release yet. The self described seven piece pop mini orchestra has Kelsey Wilson on violin and vocals; Alexander Beggins on ukulele and vocals; Sadie Wolfe on cello; Matt Bradshaw on keyboards, trumpet, and harmonica; Tom Myers on drums; Cody Ackors on guitar and trombone; and Tyler Osmond on bass. The players run the gamut on Expectations with stripped down direct numbers to overloaded anthems as the band lets everything plus the kitchen sink fly this go around. The opener "Alex" is an easy rolling light funky joint that is highlighted by the duet vocals of Wilson and Beggins. Their vocal intertwining is magical when it is worked out, especially on the stripped down relationship honesty of "The One" which highlights the bands lyrical powers. "Follow Me" is another song that focuses on the craft with breathy vocals augmented by piano, well placed horns and bass notes to mellow things out. The bands acoustic tendencies get many airings such as the light downbeat "Sinking Ship", the dramatic swells of "My Town" and the violin lead "Eggshells" which goes on a bit too long. These tracks aren't duds, but the band seems to work better when they can all contribute and elevate songs in a more upbeat fashion. "Back & Forth" breaks out the big horns for a successful soul shaker, the title track injects some rough noise rock and goes for the gusto with a huge chorus. "Break You Down" wins with hand claps, closing horn work all around a gorgeous bass line while "Think It Over" is a more restrained groove that is a hell of a jam about infidelity and cheating. The band worked with a whose who of indie rock artists as producers: Chris Walla (formerly of Death Cab for Cutie), Matthew Logan Vasquez (Delta Spirit), Chris Boosahda (Shakey Graves), Scott McMicken (Dr. Dog), Adrian Quesada (Grupo Fantasma), and Max Frost. While all of these artists have been influences on the band (and can be heard in various tracks on Expectations) the group that they kept yearning to be compared to in these ears is another Austin outfit, Spoon. Wild Child has a more organic/acoustic vibe but their counterparts in Spoon seem to share the same passion for intricate pop numbers that are always focused on the totality of the song. 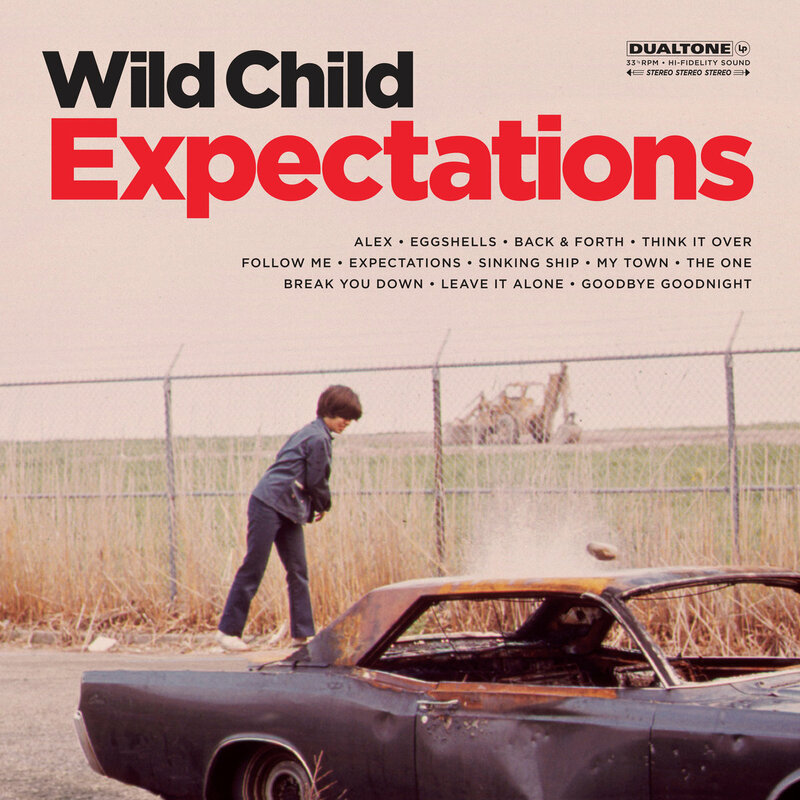 An long invested album, Expectations finds Wild Child putting it all on the line and succeeding.